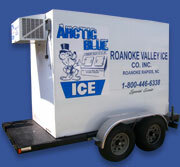 Roanoke Valley Ice Company is a full service ice company capable of delivering over 75 tons of Packaged Ice in a single day. We offer service to convenience stores, supermarkets, restaurants, seafood markets, manufacturing companies, construction sites, and other companies in need of ice. As an approved vendor for Wal-Mart, Food Lion, Lowes Foods, Federal Emergency Management Agency (FEMA), Eva, Progress Energy, and The American Red Cross, we can meet any need that may arise. 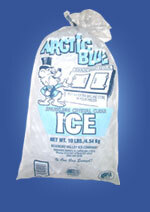 Roanoke Valley Ice Company uses quality Starrett and Leer brand Merchandisers. Available in sizes ranging from a single door slant front style to an upright two door.